Divorce can be an extremely depressing and crucial moment in one’s life. There are many emotional and financial factors that must be given consideration in order to complete a separation process. In these difficult circumstances, individuals most often overlook the tax implications of a divorce. Internal Revenue Service has devised a comprehensive guide on divorced individuals to help couples sort out their tax related concerns caused due to divorce. However, an abundance of tax rules can make it extremely challenging to comprehend these policies and procedures. Therefore, it is highly recommended to hire an experienced divorce lawyer, who will provide reliable counsel and help you to make informed decisions. Alimony. The amount of alimony paid to a spouse in case of divorce or separation is deductible, irrespective of the fact that whether you itemized alimony under deductions or not. However, voluntary payments made outside a divorce are not deductible. In case you are receiving alimony from your spouse, that amount is taxable in the year you receive it. Though withholding tax does not apply to alimony, therefore, you may have to increase the payments to save yourself getting penalized by IRS. Contribution to Spousal IRA. In case you get a divorce before the end of a tax year, you cannot deduct contributions that you have made to traditional IRA of your former spouse. However, you can deduct contributions made to your own traditional IRA. Change of name. If you are planning to change your name after getting divorced, you may need to ensure that you notify the Social Security Administration using form SS-5. A mismatch in a name can cause complications and delay the process of receding your refund. Health Care. If your health insurance coverage is void due to divorce, you have to get yourself and your dependents enrolled in a new health coverage plan through Health Insurance Marketplace in order to claim it on your tax return. 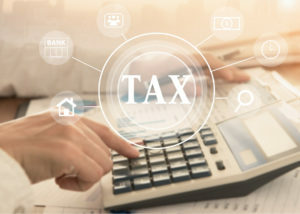 There are many other variables such as changes in circumstances and shared policy allocation, which may also require consideration to remain compliant with IRS. The payments made for child support are not deductible from tax returns. Similarly, you can also receive child support without paying any tax on it. However, there are many other complicated areas affected by taxation that may need to be addressed. A divorce lawyer can ensure that you remain tax compliant and do not get penalized by IRS. Moreover, an attorney may also provide effective tax planning advice, which may save you a decent amount of money. For further information about issues pertaining to divorce tax implications or to schedule a free consultation, contact Law Office of Fedor Kozlov at 847-241-1299 to speak with an experienced divorce lawyer on this topic.